Though not the healthiest breakfast, many people like to start their day with some deliciously sweet coffee and cake. And if you're one of those people, you may be looking for some ideas to switch things up a bit. So what are the best cakes and treats that pair perfectly with your morning cup of coffee to get you going? Continue reading to learn more. 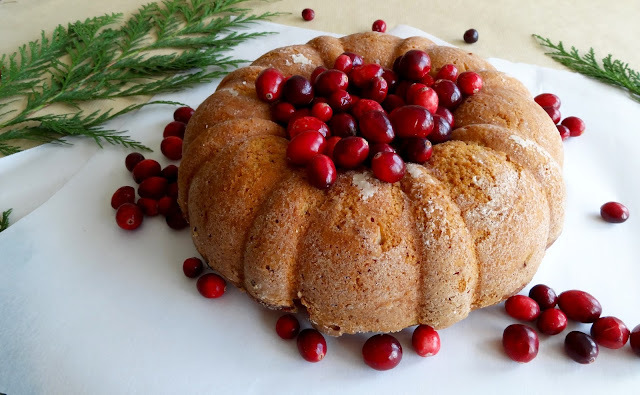 Thick, hearty bundt cakes are perfect for enjoying with a dark cup of coffee, but rather than having a plain vanilla cake, opt for one with some fruit inside, such as cranberry. And if cranberry doesn't suit your fancy, you can instead use just about any berries that are currently in season. This cake isn't too sweet but it's definitely going to fill you up quickly because of its rich texture. Sticky buns are definitely indulgent treats that you should probably only have once in a while, but they make the perfect morning treat that you can have with your coffee before you head off to work or out for the weekend. Glaze lovers will also find this the ideal combination to start their day. But rather than the standard sticky bun size, go for a mini sticky bun instead. These are just as sweet but much smaller so you won't risk overdoing it with the calories and sugar. No list of cakes and treats that go perfectly with coffee would be complete without mentioning crumb cake. A great option for brunch as well, crumb cake is sweet, thick, and energizing, with the perfect combination of crunchy and smooth textures. Those who are in search of a special treat to have with their coffee can look to quinoa muffins. This is a great option for those who are looking for a gluten-free and healthier alternative to the traditional cakes and treats that go well with your morning coffee. It is also a great way to replace bland breakfast options like oatmeal, as it will still provide you with plenty of necessary fiber and protein to get you going for the day ahead. Have these muffins plain or bake them with some fruit, such as berries, to give them a bit more flavor, sweetness, texture, and nutrition. Yet another item that must be on a list of treats to have with coffee is doughnuts. Whether you have a full doughnut or a doughnut hole, this sweet dessert doubles as the perfect breakfast for anyone with a sweet tooth, and there are sure to be a few flavors that become your favorites. With so many delectable treats and cakes to enjoy with your morning cup of Joe, you can have something different every day of the week. And coffee lovers will be able to enhance their coffee drinking experience with the many products found on Java Fly, so in addition to changing up your cake and treat routine, see if you can enhance your coffee too.